If fear and anxiety is getting in the way of staying on top of your dental hygiene, the next step is finding the best sedation dentist. It is important to remember that not all sedation dentists are the same. Sedation dentists need to have adequate training to understand how dental anxiety works, as well as have the proper dental training to successfully complete the treatments. A good sedation dentist will help alleviate your fear and anxieties, while expertly treating all of your dental health issues. At Vero Dental Spa, we want our anxious patients to feel relaxed with the least amount of sedation as possible. To do this, we make sure you are fully knowledgeable of sedation dentistry and your treatment. Before choosing a sedation dentist, we recommend doing some research on the dentist and the practice. It is important to make sure your dentist is qualified with the proper credentials to perform sedation treatments. The easiest way to research a practice is by calling their office and asking questions, looking up reviews and testimonials online, and looking to see if they are member of dental boards for continued education. Sometimes seeing that a dentist’s website expresses concern for anxiety-ridden patients is a simple way to tell that they care. Before going directly into a treatment, we recommend scheduling a consultation with the dentist. This way, you can meet your dentist, see which sedation methods they offer, and make sure that you feel comfortable in their office. A good sedation dentist will ask you questions about yourself, express a genuine interest in your concerns, and help you feel confident with your treatment choices. During this time, it is important that you express any worries to your dentist about previous negative dental experiences, or anything that might make you feel panicky during your procedure. The easiest way for us to provide a trustworthy, comfortable, and pain-free dental experience is through transparent communication. A skilled sedation dentist will recommend a stop signal, if you feel like you need a break or have a question during your treatment. Most of the time this signal will be a simple hand gesture. Most dentists with sedation certifications understand the intricacies of dental anxiety and will not take your worries personally. If you choose our practice, it is important to remember that the dentists at Vero Dental Spa are here to help you through your anxieties and will not judge you. If you are conflicted about sedation dentistry, because you do not want to be at a loss of control, then we recommend telling your dentist about this too. You should also talk to your dentist if you are apprehensive about not remembering your treatment. Lastly, the easiest way to pick a sedation dentist is by choosing someone that makes you feel calm. If a dentist seems cold, not compassionate, or not empathetic to your condition, then you should not feel bad telling them that they are not the right dentist for you. 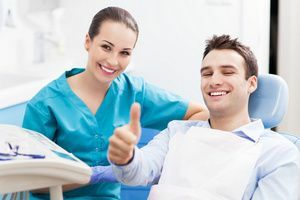 A good sedation dentist will have a caring and gentle personality and will seem interested in you as a person, rather than another set of teeth to fix. Your dentist does not need to be a dental anxiety expert; however, there will be signs that they will help your phobia. For instance, sometimes you can tell dental offices will put your comfort first, if they offer amenities, like aromatherapy and soothing music. 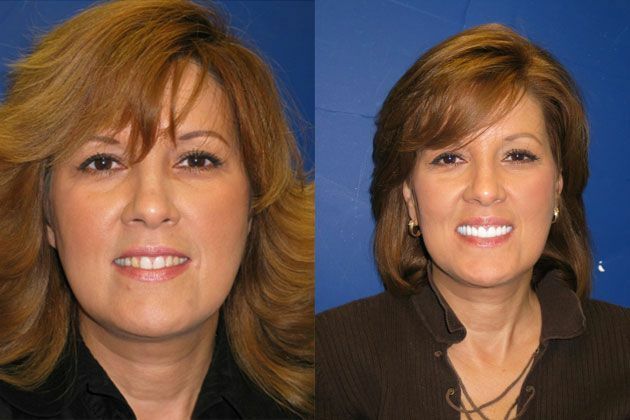 Why Choose Vero Dental Spa for Sedation Dentistry? Are you ready to find a sedation dentist to address your dental needs? At Vero Dental Spa, we understand that it can be difficult to conquer a dental phobia. We will do everything in our power to help you enjoy your dental experience by incorporating a calming environment with noise-cancelling headphones, soft blankets, neck pillows, and more. It is our mission to provide the best dental care in Vero Beach, FL. Call us today at 772-778-5550 and learn how sedation dentistry will help you through your dental appointments.